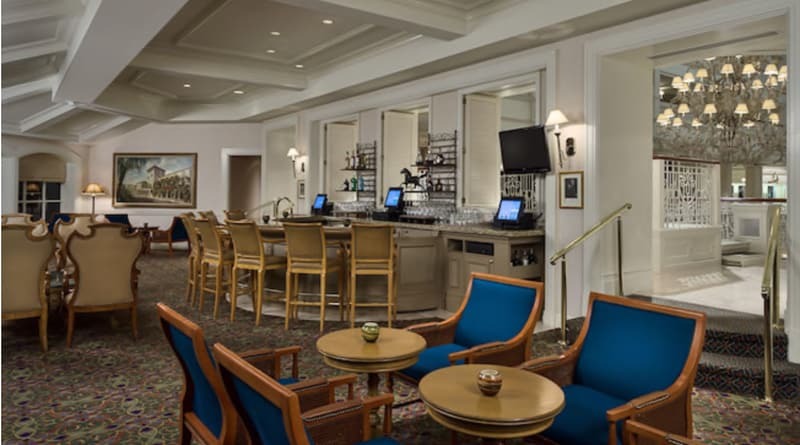 (UPDATE 4/12/19): A few weeks ago Disney made an announcement that Mizner’s Lounge in Disney’s Grand Floridian Resort and Spa was closing for refurbishment. Now we found out the reason for that is a Beauty and the Beast-themed bar is replacing it. 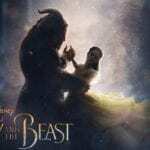 The Beast-themed Bar will have four unique rooms inspired by Belle and the Beast. There are some amazing new features too like the bar that glows from the gold chandelier which is inspired by Belle’s gold ball gown. 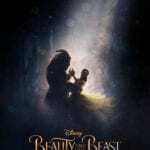 There is also some inspiration from the Beast’s magical rose. Another space will be the formal library with classical baroque designs and French furnishings that Belle helped too choose. The third room is the garden room which is a whimsical space that drawing its inspiration from the enchanted forest surrounding Beast’s castle. 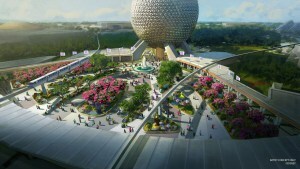 Lastly there will be an outdoor patio which will remind guests of the Beast’s garden terrace. To make space for the expansion, Mizner’s has already closed, along with the adjacent men’s apparel shop Commander Porter’s. Summer Lace on the ground floor will ultimately become home to both men’s and women’s apparel. 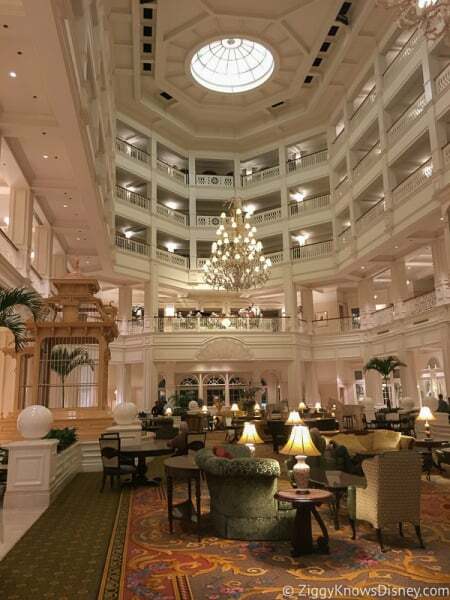 According to @SchuckJH on twitter and the WDWMagic forums, this area will be re-imagined into a themed space based on the live-action version of the Beauty and the Beast film and could involve not just a simple overlay, but a total transformation like the Snow White-themed Storybook Dining at Artist Point recently was. Three rooms–current bar a library, strictly tables. 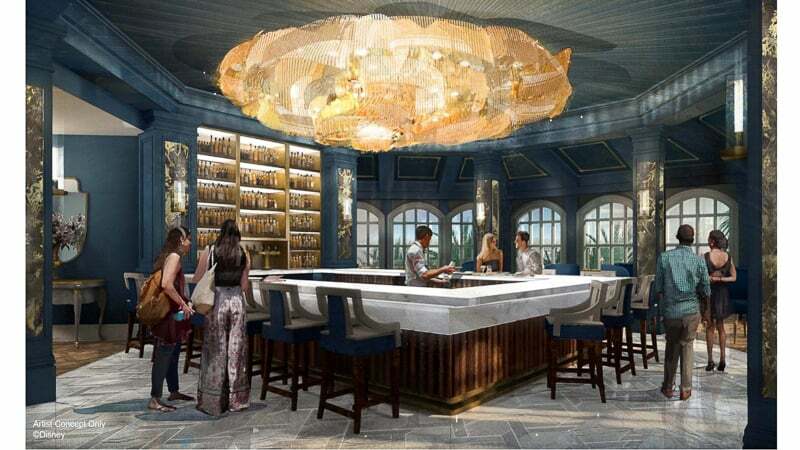 Commodore's will become the main bar, themed to the ballroom. Only good news is a huge U-shaped bar here. Hallway area and outside patio themed to "the woods." This is just a rumor at this time, but it does make me wonder if Disney is taking the theming overboard just a bit. I mean what does a turn-of-the-century victorian resort in Florida have to do with a castle set in the forests of France? Why would they want to make this into a heavily-themed area which will be appealing for children to visit, when it’s supposed to be a relaxing bar for adults to wind down after a long day of chasing after kids in the park? If anything you could get away with something themed from Mary Poppins for example if you had to, but Beauty and the Beast makes no sense, and neither does bringing in kids. The fit just doesn’t work for me at all and I don’t think it’s beneficial at all to put anything IP themed here. 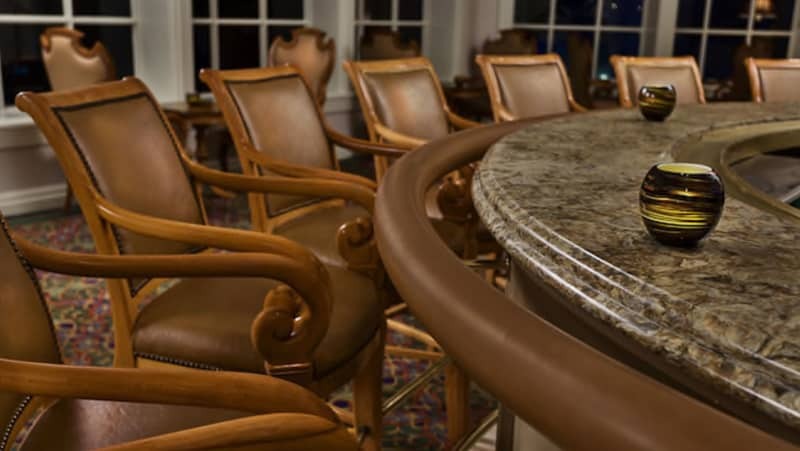 I like the theming already how it is in the Grand Floridian and I like the fact that it’s not tied down to an IP. 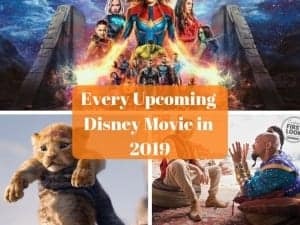 Again Disney hasn’t confirmed any of this and it may just be rumors, and at this point let’s hope that’s the case. 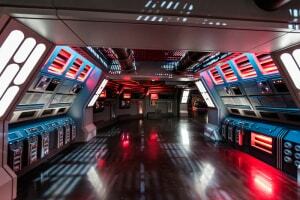 What should Disney do with the space?